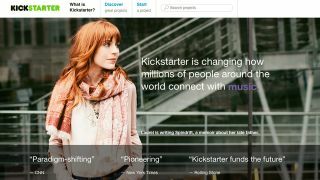 Crowd-funding sites like Kickstarter not only offer innovators and idea generators the means to get their project off the ground, it also offers us tech fans to get in on something at the ground level. Everyone's looking for the next big thing in tech, the chance to be a pioneer for a newfangled gadget, game, service or solution. Kickstarter gives us that chance and lets us get ahead of the crowd. Over the last couple of years, we've seen Android games consoles like Ouya and smartwatches like Pebble get their breaks on Kickstarter, while thousands of other products are now in development thanks to tech fans clubbing together. 2014 has been no different and projects from the ground-breaking and revolutionary to the 'damn, that's so simple I wish I'd have thought of it' are raking in the currency in cash and belief. Bored of life on earth? Fancy setting up your own galactic colony and running the show like an omnipotent being? Enter The Universim, a glorious revival the planet-management genre, for Mac, PC and Linux. The idea is to start a civilisation and help it grow through the ages, guiding it along your chosen path, helping the inhabitants to develop tools, skills and weapons through your own research. If two clans declare war on each other, you can broker a peace or sit back and watch the carnage. If a natural disaster or an alien visitor lands, you'll need to come up with a strategy to deal with it. Best part? If the civilisation does something that displeases you it generates wrath, which you can unleash on them in the form of a tornado. It's good to be God. TR says: Kickstarter has a vibrant gaming community and more than a hundred of games funded by campaigns on the site are now playable on Steam. This could be one of the best yet. Meet Earin, the world's smallest pair of earbuds. They're wireless, they're rechargeable, they're Bluetooth enabled and they're really, really tiny. These individual buds comfortably fit in the ear, don't fall out when running thanks to the 'concha' lock and can still manage to produce awesome sound. The battery lasts for almost three hours and can be recharged via its own USB capsule. The price of such audio freedom? £79. TR says: Earin just reached a $700,000 stretchgoal, meaning there'll be a dedicated app to optimise battery life and a waterproof version. Could they be the ultimate sports headphones? 3D printing! Everyone's doing it these days. Actually, they're not because the damn things are still prohibitively expensive for most people. The folks behind The Micro, the tenth-highest funded project in the history of Kickstarter no less, aims to change all that with "the first truly consumer 3D printer." It's just 7-inches tall and can print items 4.3-inches in size, making it ideal for figurines, jewellery, small parts and objects. The plug and print device also comes with its own software and filament spools are cheap enough to make this an entirely affordable endeavour. TR says: Most 3D printers are hulking, great beasts, but we love the Micro. This is your gateway into the wonderful world of 3D printing.